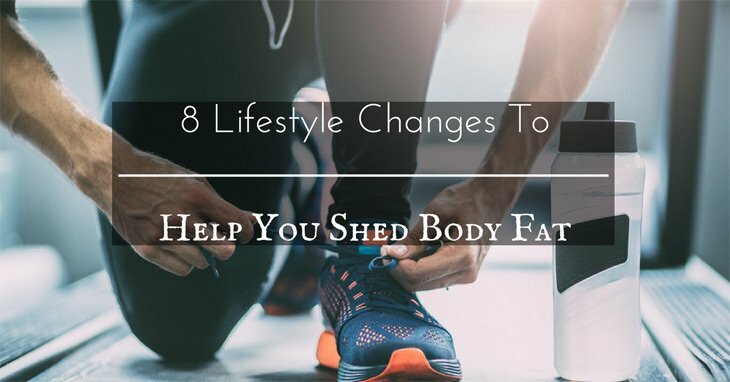 8 Lifestyle Changes To Help You Shed Body Fat. This is the first line of action when trying to shed excess weight. 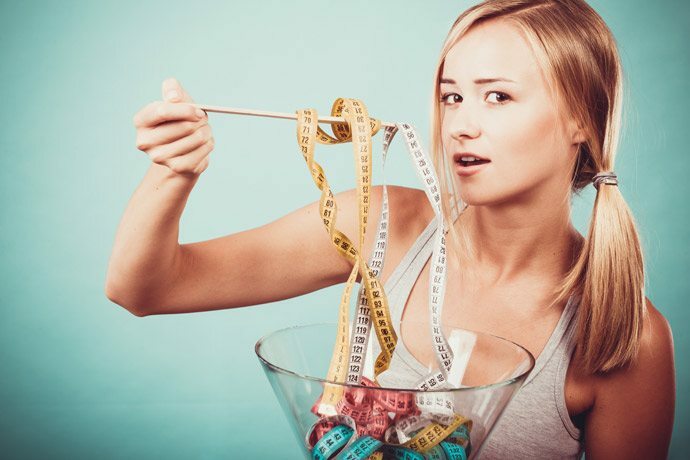 It's an age old method whereby you expend more calories than you take in. One of the rules to follow is never reduce your caloric intake to less than 1200 a day. This is very unhealthy and you can damage your body by not providing it with adequate nutrition. The market can be filled with delectable goodies, but it is a jungle of unhealthy, fat ladened foods. Have you ever had the thought, oh this is probably bad for me? 9 times out of 10, this little voice is right. Listen to it. Skip dressings, cakes, chocolate, fatty red meat, ice cream, and non-whole grain bread. Butter can be oh so tasty, but it is made up of fats, cream and unwanted cholesterol. Margarine is basically made up of vegetable oil and adds nothing healthy to your lifestyle. Instead swap those butters for cooking spray and olive oil. Cooking spray has zero calories in most cases and helps with following the lifestyle number one of cutting calories. Olive oil while cooking provides healthy omega 3 and actually amplifies the taste buds. This lifestyle change can actually be the hardest for most people to stick with. Exercise requires motivation and routine. However, after a good routine is established working out becomes easier to do. It is ideal to do your workout each morning, for a minimum of 30 minutes. It is recommended to do this at least 5 days a week for optimal health and losing the fat. If you begin slow and start with just 3 days a week, you will not become overwhelmed by the change in lifestyle, after about two weeks increase to 4. After about a month add in the fifth day. Just keep to it. When you increase your exercise this will also earn you more calories that you can put towards your meals, or simply burn the fat faster. While you might think juices are a good source of vitamins and minerals in your diet, it is also a source of sugar and high calories. When excessive sugar is not burned off it converts directly to fat. Soda is consumed by over 20% of the population, and has some of the highest empty calories you can consume. Cutting back or better eliminating these from your daily diet will result in fast shedding of body weight. Remember to increase your water to stay hydrated throughout the day. Midnight snacking is a cause for gaining body fat for lots of people. If you curb your eating to at least 4 hours before bed time you will give your body time to process. One train of thought is to stop eating by 7 p.m. And only drink water if you feel hungry. Many times late in the evening the hungry feeling is just your body's way of saying you are sleepy. Ok, this one seems like a given, and the thought of giving up the Little Debbie snack cakes might make you cringe. However, over loaded sugary snacks like cakes and cookies hinder your ability to lose the stubborn pounds. Instead, while you are at the grocery store pick up some healthier options, such as nuts, fruits and veggies, and peanut butter. 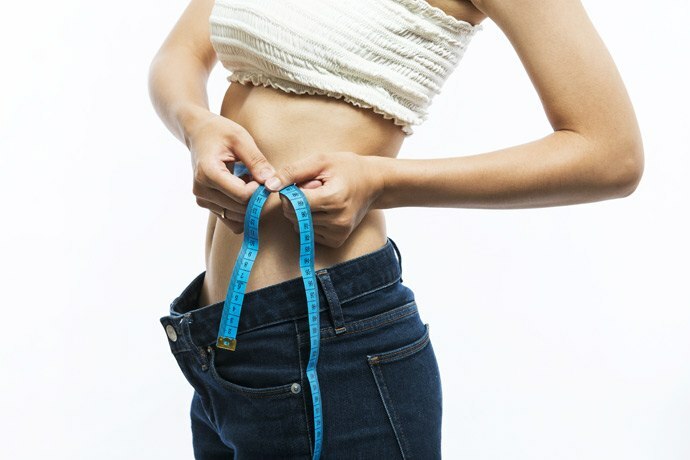 With this simple elimination you will cut your calories by half or more. One of the biggest excuses for not exercising is time, however many can find the time to binge watch their favorite shows on Netflix. Instead, cut one episode out of your schedule and use that time to get your cardio in. Less TV time and more exercise will also promote better sleep. Shedding the fat will benefit you for a lifetime. With a continued commitment you will not only get rid of the extra pounds of fat but also keep them off for good. Utilize these simple changes in your life today to begin the journey to a fitter and healthier you. Guest post by HowTonight - a blog focusing on health, nutrition, beauty and many more.